Brackish Bow Ties, if you remember, was featured on Buffalo Dandy quite some time ago. Since then, the company has made impressive gains, being featured on numerous blogs and even being seen on some major celebrities. 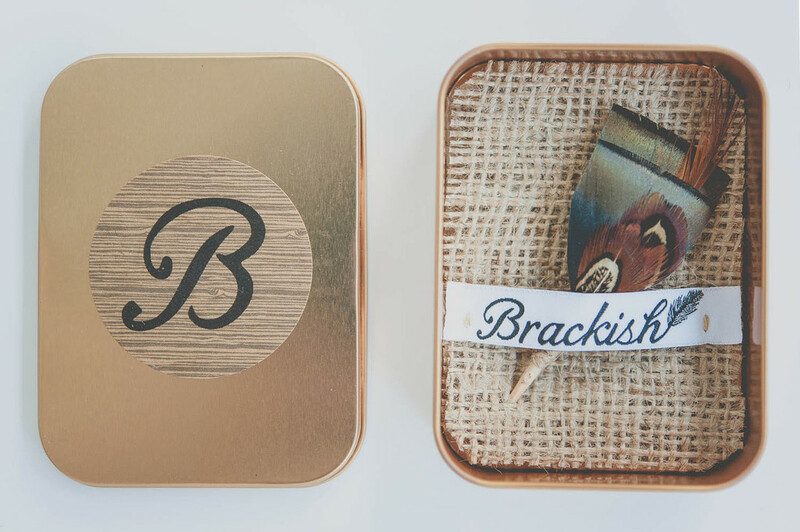 For their latest endeavor, Brackish is looking to gain even more of a following for those who love the idea of their company, but just aren’t quite ready to wear a bow tie made of feathers. Introducing Brackish Plum Thicket Pins. Each pin is designed to naturally complement their unique line of bow ties or on its own. They can be worn as a lapel pin, brooch, or hat pin. There are four different styles to choose from, each handsomely packaged in a metal tin for safe keeping. 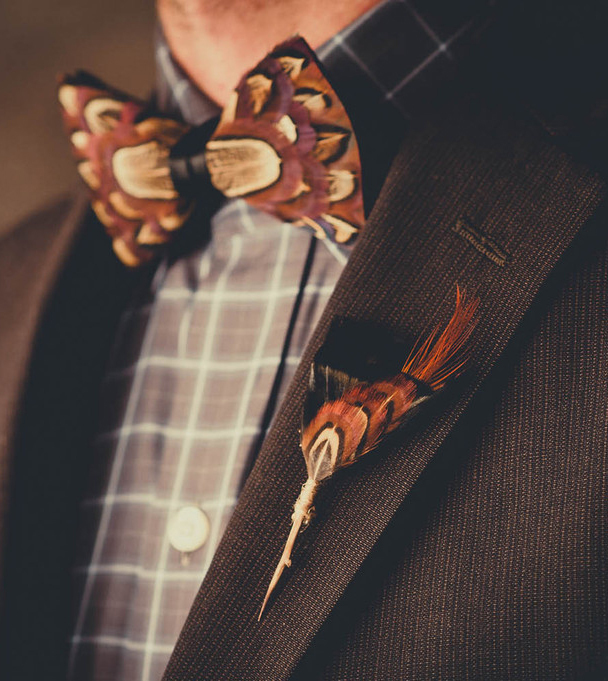 A favorite of mine, hands down, is the Roost which combines turkey, pheasant and rooster feathers for a rustic look.